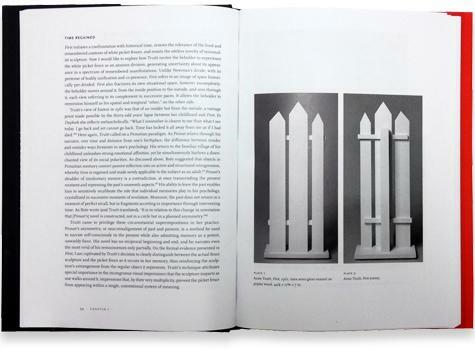 In the June 12, 2016, issue of the Oxford Art Journal, Crista Noel Robbins reviews Miguel De Baca’s Memory Work: Anne Truitt and Sculpture alongside Sarah Hamill’s David Smith in Two Dimensions—both books recently released by the University of California Press. Robbins notes significant parallels between the two artists’ use of other media in their respective approaches to sculpture—writing in Truitt’s case and photography in Smith’s. She calls De Baca's book on Truitt a "much needed entry into the work of an artist who has for too long been shuttled between period designations and stylistic categorizations." Read an excerpt from the review here.